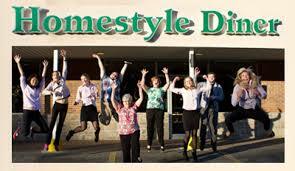 Homestyle Diner is a restaurant in Waterloo, Ontario that serves delicious homemade comfort food. Nothing says homemade like an expertly prepared pie from our oven, or the first bite of our fall-off-the-bone ribs. We are especially proud to start of a customer’s day with the wholesome goodness of a homemade breakfast. All of this and more is what you can expect when you visit to Homestyle Diner. We welcome large groups and offer catering services for special events. Let Homestyle Diner add that homemade flair to your event, leaving your guests satisfied with real food that is fresh, delicious and homemade.